Product prices and availability are accurate as of 2019-04-21 14:07:19 EDT and are subject to change. Any price and availability information displayed on http://www.amazon.com/ at the time of purchase will apply to the purchase of this product. 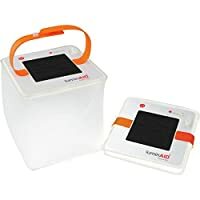 The LuminAID PackLite Max 2-in-1 Phone Charger is an ingenious solar-rechargeable lantern that delivers essential illumination and USB charging during emergency blackouts and wilderness camping adventures. This inflatable cube houses a 150-lumen LED light and built-in solar panel with USB charging station. One of the coolest features is the ability to hang it up at the backyard, basement, campsite, or RV with the included leash, or even tether multiple lanterns together for an ambient lighting solution. Four distinct settings deliver turbo, high, medium, and low lighting, as well as flashing setting for notifying passing motorists and rescue personnel during emergencies. 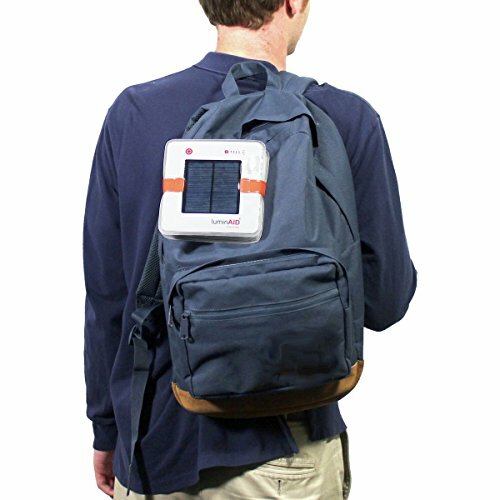 Where this inflatable lantern separates itself lies in its ability to harness power from the sun and recharge gadgets on-the-go. 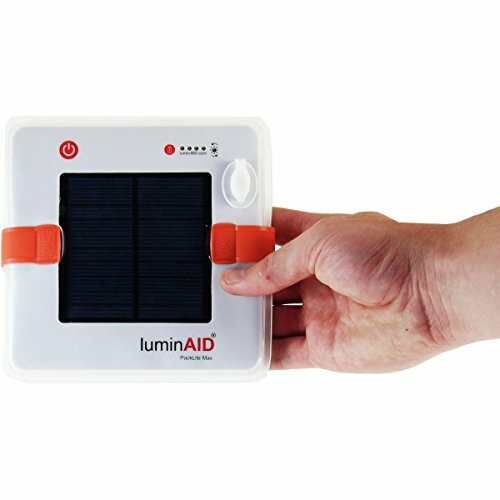 The built-in solar panel fully juices this lantern in 12 to 14 hours of direct sunlight, ensuring up to 50 hours of lantern use on its lowest setting, as well as USB-charging capacity for one smartphone. If you're at home, you can plug this lantern into a USB computer port or USB wall outlet for faster charging in approximately two hours. Once it's fully charged, you'll find it powers up an entire smartphone or adds battery life to a dying tablet. The fast charging of 5-volt/2. 4-amps mimics what you'd experience means you're not endlessly waiting to juice up your phone or electronic gadget. LED charging indicators give you an accurate read-out of the lantern's remaining battery, so you're never left in the dark. Plus, it's fully waterproof and floats, making it a great solution for surviving a storm when the lights go out.